According to the Ontario Superior Court of Justice in the June 2012 case of Royal Bank v Samson Management & Solutions Ltd., 2012 ONSC 3612 [Samson], a lender can lose its guarantee security when making subsequent advances to a borrower, even when simply following certain (common) practices. Samson was a case in which dual motions for summary judgment were brought by each side. The Plaintiff RBC was seeking summary judgment on a guarantee given by Cheryl Cusack (“Cusack”), who was the spouse guarantor of the principal of the defendant company, and Cusack was seeking summary judgment discharging the guarantee on the basis that it was unenforceable. Cusack succeeded. The facts of this case were that a commercial loan was made by RBC to the defendant borrower, Samson Management & Solutions Ltd., which was secured by a guarantee from Cusack. The guarantee was known as a “continuing guarantee”, and was commonly worded in such a way that it guaranteed all present and future indebtedness of the company to the Bank, and it was not tied to any particular loan agreement. The Guarantor received independent legal advice before signing, and in all respects, the proper steps for taking the guarantee security appear to have been met. The crux of Cusack’s argument that the guarantee was unenforceable was that there were material changes to the loan of which the guarantor was not given notice and to which she had not consented, thereby rendering the guarantee void. In short, RBC agreed to three subsequent increases to the company’s operating line of credit after the original guarantee was signed. The operating line went from $150,000 (original line in 2005), to $250,000 in 2006, then to $500,000 in 2008 and finally to $750,000 in 2009. Each time the line was increased, a new credit agreement was entered into which superseded and cancelled the former. 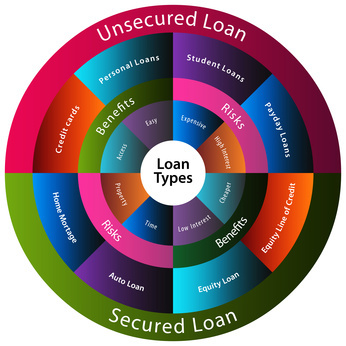 Apart from the 2005 and 2006 advances, new guarantees were not obtained by the bank, and the bank did not notify the guarantor of any of the changes in the loan terms. The Court arrived at its conclusion after looking at principles from two key cases, the first being Royal Bank v. Adecon Transport Inc.,  OJ No 6249 (Ont. SCJ). This case involved a revolving loan arrangement. The Court reasoned that in this case, an increase in outstanding liability was a development which was within the contemplation of the parties (including the guarantor), and thus, there was no material change to the guaranteed obligation. Justice Glass in the Samson case however, distinguished Adecon on the basis that the subsequent loan agreement in 2008 cancelled the 2006 agreement (the one to which the guarantee was tied), as admitted to by RBC. Therefore it would not matter what was contemplated in the 2006 agreement, as it was no longer in effect, replaced with a new agreement without a fresh guarantee. The next case the Court looked at was Manulife Bank of Canada v. Conlin, 1996 Carswell Ont., 3941 (SCC), where the Supreme Court of Canada enunciated two key principals. First, in order to conclude that a party (i.e. a guarantor) had agreed to waive all rights available in equity or common law, there must be clear language indicating such a waiver, as the court will not make such a finding without it. Secondly, a material change to the terms between a creditor and “principal debtor” without the consent of the guarantor will void a guarantee. The significance of the second point is that where there is a clause in a guarantee that converts the guarantor into a principal debtor, failing to notify the guarantor of new terms will render the guarantee unenforceable. This is because the guarantor will not be party to the new terms. Looking at the Samson case, there was a principal debtor conversion clause making the guarantor a principal debtor, and it was found that Cusack could therefore be a principal debtor; having failed to give her notice of changes (new agreements canceling former one) the bank could no longer hold Cusack liable under the guarantee. At first blush, it may appear that the logic in the above findings is inconsistent with the idea of a “continuing” guarantee which seeks to capture “all” present and future liability. However, it is key to note that the Court will apply rules of equity. These are based on fairness to the parties, and in particular fairness to the party who has a contract imposed upon them (ie., a guarantor). In essence, it would be unfair to hold a guarantor liable for such an increased risk where notice was not provided to the guarantor of such risk; where no clear waiver of rights was provided it cannot be clearly demonstrated that such increased liability was within the contemplation of the guarantor. Therefore, it is important to be cognizant of the role assigned to a guarantor in a loan transaction. If there is a “principal debtor” clause in the guarantee, the lender should take care to provide notices of all changes to the loan, as if the guarantor is an actual party to the loan. We recommend that lenders follow the practice of obtaining new guarantees in all situations where the risk substantially increases. Since we cannot predict the threshold which any given court would consider being a “substantial increase” in risk, a best practice for lenders would be to obtain a fresh guarantee for all new loan facilities. On a final note, the Samson decision is under appeal, and was scheduled to be heard in January, 2013. As at the time of this writing a decision has not been released. However, stay tuned for further updates. **Update** – the Ontario Court of Appeal released its decision on May 13, 2013 – See our update here.